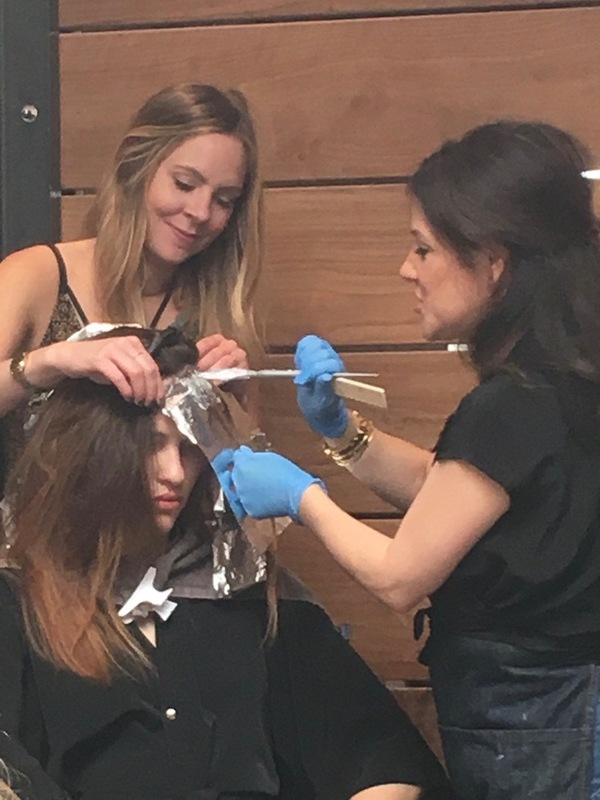 On May 1st Foundation Hair Academy co-founder and educator Courtenay Girard attended a hair colour course with top celebrity colourist Tracey Cunningham at her prestigious salon, Meche, in Beverly Hills. 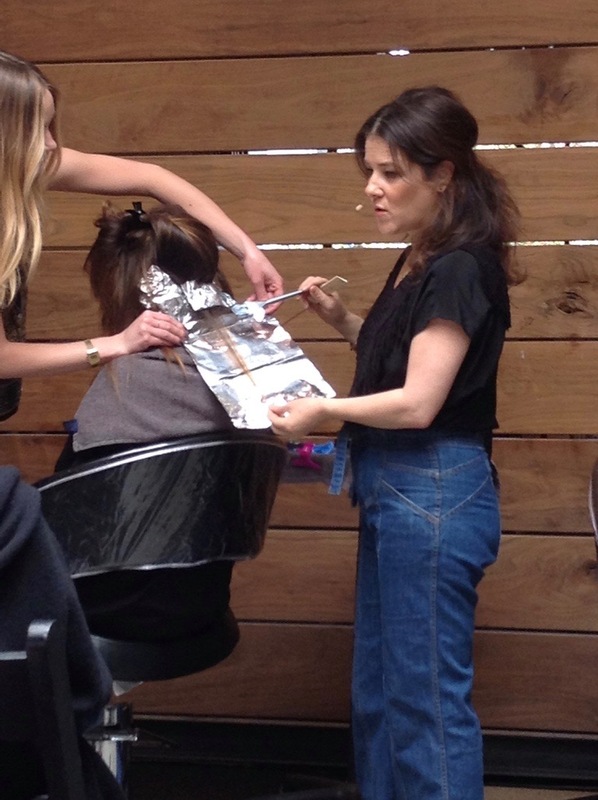 Tracey is responsible for some of the most beautiful, natural looking hair seen on the covers of magazines. Her clients include Gwyneth Paltrow, Jennifer Lopez, Khloe Kardashian, Jessica Biel, Emma Stone, to name only a few. She is also partly responsible for bringing the ombre/balayage trend to the mainstream with clients Drew Barrymore and Lily Aldridge- she's kind of a big deal! Over the course of a day she took seven models lighter using multiple foiling and balayage techniques and shared her signature toning formulas. What struck Courteney the most during her time in LA was how humble and authentic Tracey and the other Meche stylists were. For being at the top of the industry, they were some of the most welcoming and friendly people ever. Tracey was also very refreshingly transparent; the fact is that sometimes our job isn't easy (even for her!) and things don't always go perfectly the first time around. Some clients just require a few more highlights before the day is done to make it perfect- so she just does what needs to be done. Her work ethic and drive are unlike anyone else- she takes up to 40 clients a day, flies to Europe twice a month to do hair and does house calls for many celebrity clients. Needless to say the class was AWESOME and Courtenay can't wait to share some more tips and tricks in future Foundation workshops. For MAJOR inspiration follow @mechesalonla and @traceycunningham1 on Instagram.